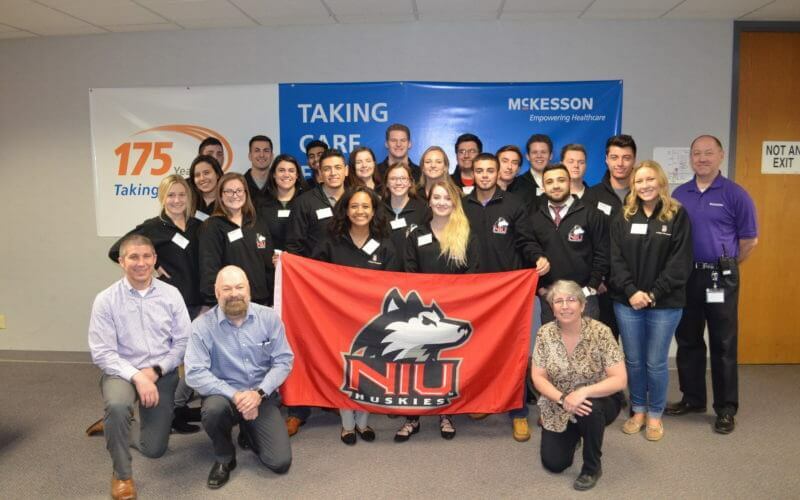 Seventeen NIU Professional Sales students hit the road on a Huskie bus last month to jump-start their sales career. This intersession class – Professional Sales in the Field, otherwise affectionately known as “Sales on Wheels” – provided firsthand exposure to five companies, all partnering organizations with NIU’s sales program. The sales program offers the class out of the Department of Marketing in the College of Business. Lydell Curry of Plainfield, Illinois, a senior marketing major in pursuit of his professional selling certificate, said this class was an investment in his future. Along with the knowledge gained on the mid-December trip, Curry has set his sights on securing a high-paying sales role next May. Since its inception in 2013, more than 100 NIU sales students have taken the “Sales on Wheels” class over winter break. The idea of going on the road with a class originated when faculty explored new ways to expand their students’ perspectives, particularly with regard to accepting good job offers outside of the Chicago area. “We want to educate sales students about the career upside when companies relocate them. As we explored ways to do that, we came up with the idea of actually taking students to nearby states so they could experience new areas, different ways of life and viewpoints,” said Charles H. Howlett, director of the NIU Professional Sales Program. The sales class has a team-based structure. The student teams discuss and present on topics such as relocation, company benefits, how to use the class experience to land a job, FICO and credit scores, understanding salary compensation types and social media. As part of their final exam, the students select a company they’d like to work for, and then they develop a personal budget. The exercise requires that they consider and factor in the cost of living, starting salary, taxes and monthly expenses. Sales on Wheels 2018 wrapped up with a holiday celebration in the Enterprise boardroom. 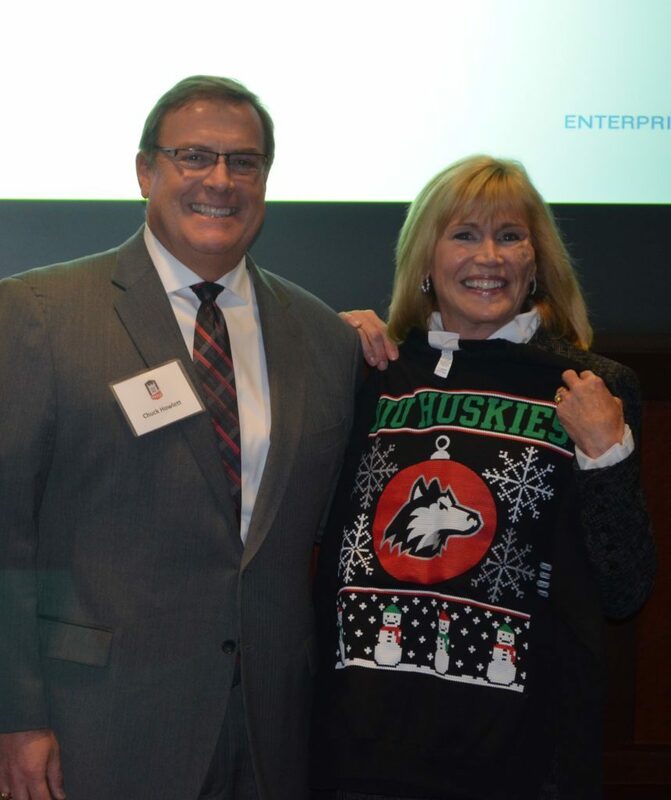 As it happened, Enterprise corporate was celebrating “ugly sweater day” at that time – and CEO Pam Nicholson was well prepared to represent based on a gift given to her from the Sales on Wheels 2017 class.